I am trying to get into the habit of reading the korea times each morning and write a post about something i found interesting to keep the world updated with information they may not find in the new york times. the latest article that i loved was about three food pastes that are hugely used here in korea and the health benefits they are proven to provide based on clinical studies. the patients at one of the pastes once a day, for 12 weeks. The Doenjang group showed significant shrinkage of visceral fat area in abdominal CT scans. In the subgroup taking real doenjang, the visceral fat area shrank by a whopping 856 sq. mm, 17 times more than the 50 sq. mm decrease in the fake doenjang subgroup. Meanwhile, contrary to the popular belief that salt in doenjang can cause high blood pressure, taking the paste had little effect on blood pressure. Although soy beans contain plenty of isoflavone, which is known to reduce visceral fat, attachment to sugar ingredient obstructs its activity. 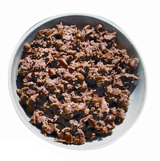 But when soy beans are fermented, microorganisms separate sugar content from isoflavone, facilitating the activity. Also, peptide, the protein created from the fermentation process, prevents salt from raising blood pressure. The Cheonggukjang group gained muscle. Their weight and fat mass remained almost the same before and after the experiment, while their lean body mass (LBM), the ratio of bone and muscle to weight, rose by 120 g. In contrast, the control group taking fake cheonggukjang saw their LBM go down 340 g.
As obese people have little muscle and thus low basal metabolic rates, they gain more weight than those who are not obese although they eat the same amount of food. Hence in order to lose weight, those obese need to increase the ratio of muscle as well as losing fat. Taking cheonggukjang helps build more muscle without weight gain. The gochujang group displayed a prominent drop in triglycerides that causes high cholesterol. Capsaicin, the ingredient that gives the peppers their hot taste, decreases the level of triglycerides in blood and boosts fat burning in cells. Sweating while eating spicy food is due to this capsaicin. When fat is burned, energy is consumed, creating heat. Despite plenty of its beneficial effects, capsaicin can also hurt the gastric mucous membranes. 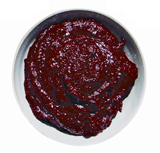 But other ingredients in gochujang, such as starch syrup and glutinous rice flour, alleviate the harmful effect. see! how awesome is that. i need to get my hands on some rich soybean paste to help my workouts! Next For the Love of Kimchi!!!! Tigers Win!!! !